High quality graters for grating wasabi, ginger, garlic. Available with or without reservoir. 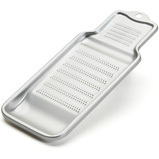 Inexpensive grater with fine and very fine grating surfaces. 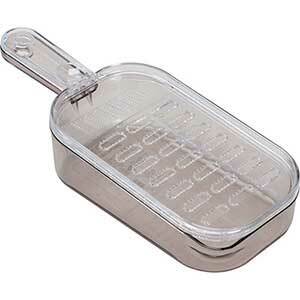 Includes a built-in container for catching the grated food with a pour spout. For grating wasabi, daikon, ginger and garlic. 9.25 x 3.75 inches. Made in Japan.